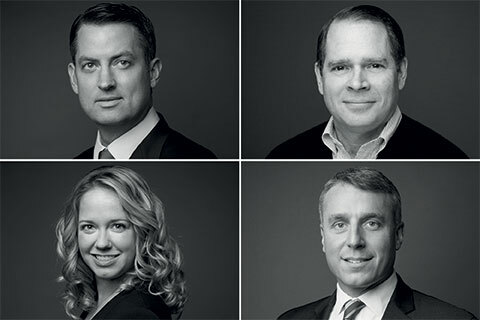 Our US leadership team continues to expand with the addition of Drew Costello, Russel Miller, Jenna Voss and David Werbel, adding New York and Philadelphia to FRA’s footprint. Drew Costello is a Partner at FRA based in Philadelphia. He has over 18 years of experience in both professional services and industry roles, specializing in international FCPA assignments, earnings management, anti-competitive practices, conflicts of interest and many other types of white-collar misconduct schemes. Russell Miller is a Senior Director at FRA based in FRA’s Washington DC office. He has over 20 years of experience advising and consulting on complex technology matters relating to legal discovery. He has consulted for top law firms and corporations regarding discovery strategy, document review and case management techniques. Jenna Voss is a Director at FRA based in New York. She has over 10 years of experience providing advice on anti-bribery and anti-corruption matters. She specializes in conducting international investigations, and has participated in a variety of other litigation and financial advisory matters including pre-acquisition due diligence, expert testimony support, complex accounting issues, financial modeling, and bankruptcy and restructuring advisory. David Werbel is a Director at FRA and is FRA’s General Counsel based in FRA’s Providence office. David is a 20 year practicing attorney and has significant experience in compliance program development and implementation and complex corporate and commercial transactions in over 50 jurisdictions globally. David consults with FRA clients in matters concerning investigations, compliance program development, evaluation and implementation and information governance. The FRA team will be celebrating our continued growth tonight at District Winery in Washington, DC, and will welcome friends, clients and colleagues to meet the new members of the US leadership team.